I love making fun food for my kids. One of my twins is a bit of challenge when it comes to trying new things, and I've found that making his snacks more interesting helps encourage him to eat a wider variety of foods. 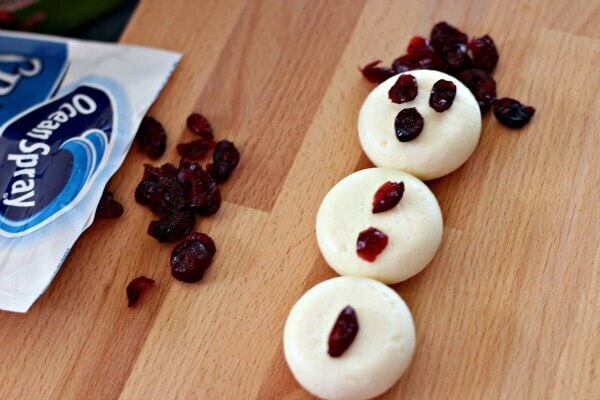 This super easy, wholesome snowman snack certainly fits the bill for fun, and since it's made from some of my kids' favorite foods, it was an instant hit! It's a perfect snack for a snow day (or any day). 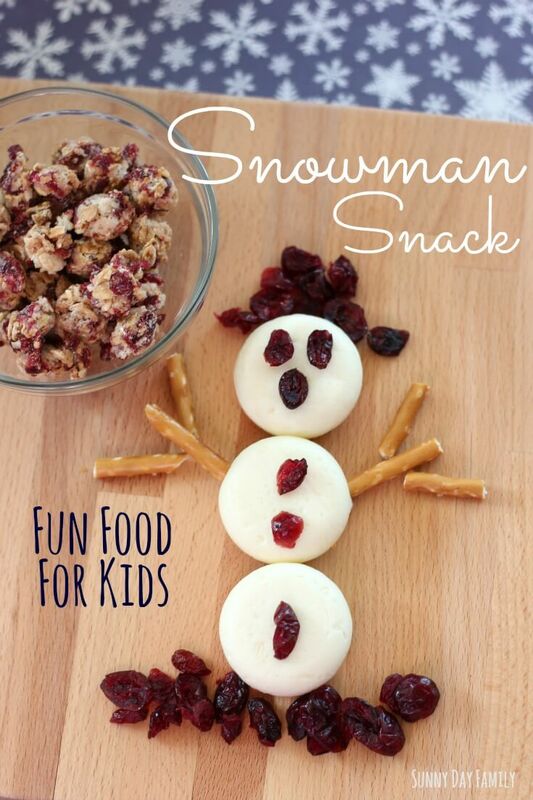 This snowman is a yummy kid friendly mix of sweet and savory flavors. The secret is the Craisins® Dried Cranberries, which adds a special zing to any recipe, paired with the mild cheese and pretzels that kids love. 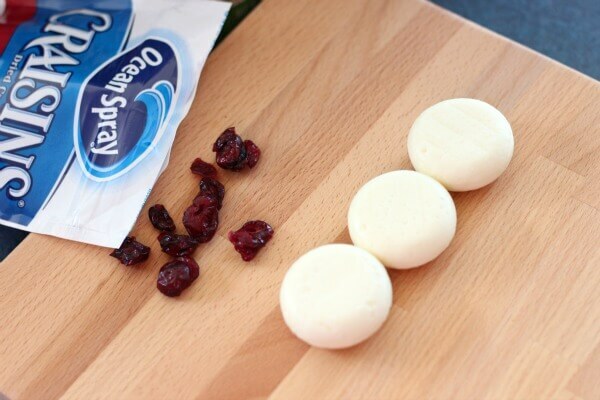 On a serving dish, lay out 3 semi soft cheeses end to end. 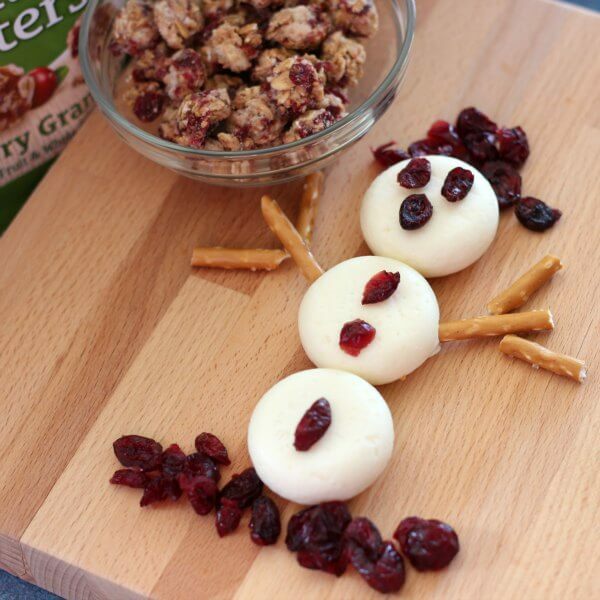 Press your Craisins® gently into the cheese to make the snowman's eyes, nose, and buttons. Add more Craisins® to the top in the shape of a hat, and on the bottom for the ground. Next, take 2 pretzel sticks and break them into thirds. Stick one third into each side of the center cheese round for the snowman's arms, and place the remaining pieces at the end of the two sticks to be the hands. Serve with a small bowl of Craisins® Fruit Clusters Cranberry Granola for an extra punch of whole grain oats and a sweet crunch! 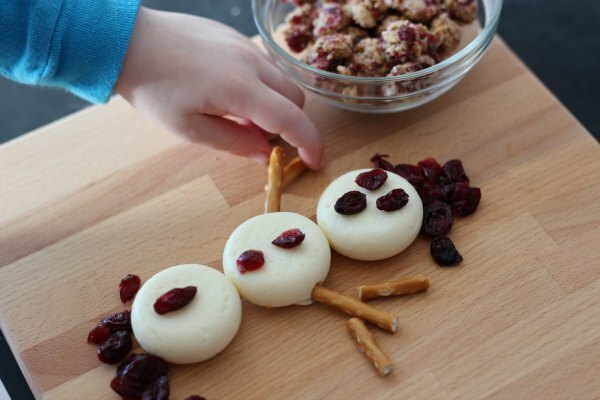 My boys loved their super fun snowman snack! The tangy sweet Craisins® are the perfect complement to the mild cheese flavor, and the Craisins® Fruit Clusters add a nice crunch on the side. I also love the fact that 1/4 cup of Craisins® Dried Cranberries provides 1/2 serving of fruit, so I can feel good feeding them to my family. 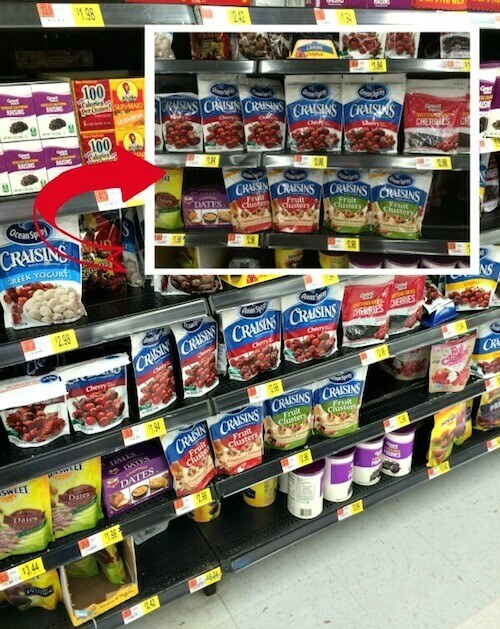 You can find Craisins® and Craisins® Fruit Clusters in the dried fruit section of Walmart. Be sure to check out all the yummy varieties! 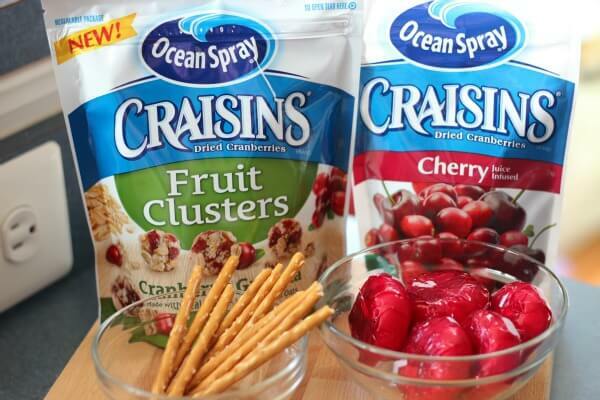 How can Craisins® make your snacks even more fun and delicious? I'd love to hear your fun food ideas - leave a comment below and let me know!